a) Vanguard (virtual instrument) by ReFX. 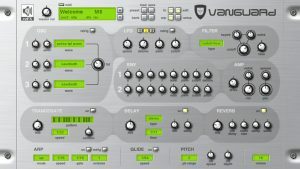 This virtual analog instrument has been around since 2004 and contains 3 oscillators with a variety of waveforms, and a very versatile modulation and unison section. b) OB-6 (hardware instrument) by Dave Smith Instruments. This modern resurrection of the classic 80s Oberheim analog synth series is a result of a unique collaboration between DSI and Tom Oberheim (2016). With 6 voices and 2 VCOs per voice, the usual filter banks and a modern selection of effects, it is modelled after the original SEM circuitry. c) OB-Xd (virtual instrument) by discoDSP. This freeware virtual instrument attempts to recreate the sound of the analog Oberheim OB-X from the early 80s, and contains a number of options to enrichen the sound through micro random detuning. Can you tell which is which? Answer will be included in our next episode! Leave a comment here, or go to our Instagram to leave a comment.